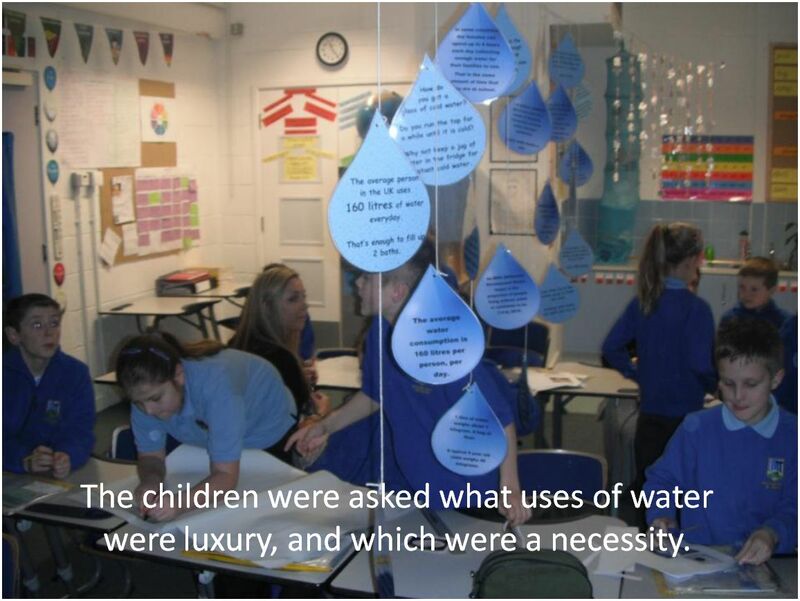 My project, entitled `Water, Water Everywhere’, began with a change of the children’s environment as they walked in on a Monday morning to a blue hue with lots of water facts! 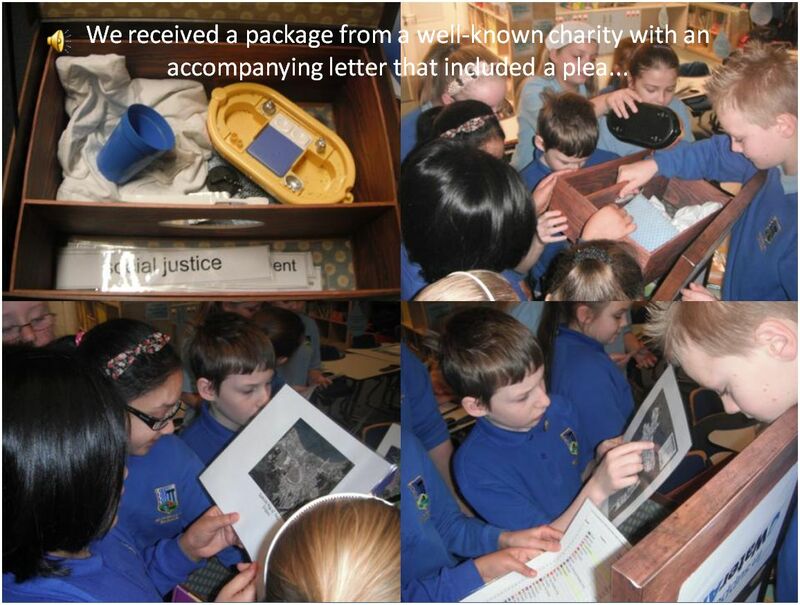 I’d made the letter up, telling the children that it had been sent by Water Aid. We had been accessing the games on their website the day before, and this had triggered their interest. Having discovered the 8 key concepts of Global Dimension earlier on in the Geography & Global Dimension Project, I wanted to ensure that these concepts became more thoroughly embedded in our current curriculum so I added sustainability, social justice, and ‘recognising the impact of unequal power and access to resources’ into the planning for my current topic. Child led – by introducing a stimulus the children were able to take a lead in their own learning, and constantly refer back to the selected Global Dimension concepts as these remained, in part, in their minds. Here as well as there – We started off with ourselves and water use at home and then, the letter pointed to two localities referenced in the chest. 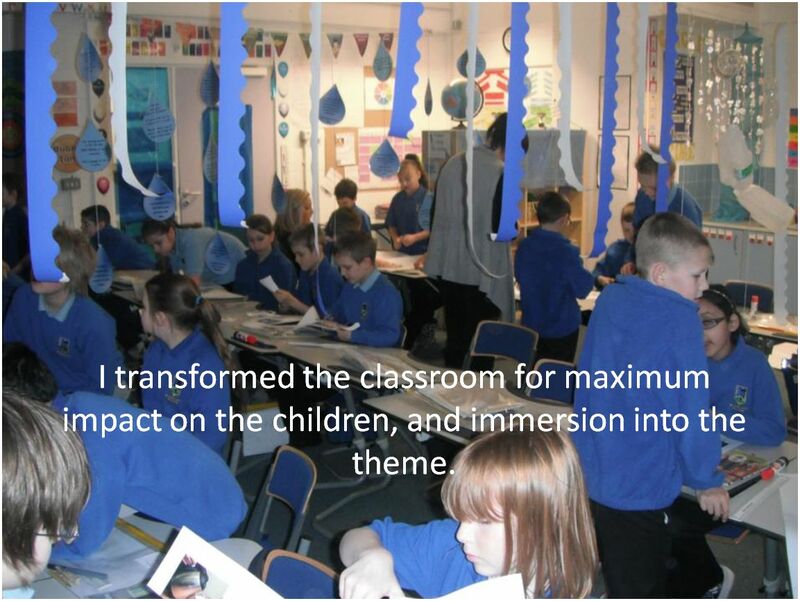 In addition to the 8 key concepts, this had the biggest impact on the children, their perceptions and their learning. That you learn about the two places referenced and find out more about what happened there. That you refer to the Global Dimension statements enclosed, and draw conclusions from it. – New Orleans and Hurricane Katrina and the overflowing of the levee; something someone else involved in our project suggested to me. The children found out how each natural disaster had been formed, and studied maps, diagrams and understood how the distance above sea level, or the placement of water in and surrounding the locality had an impact. Assessment – The children were shocked, seeing devastation in two completely different places. Prior to viewing the video footage they had learnt as much as they could about the countries from atlases and other the resources provided. You can see in the picture them using not only the atlases, but a globe to gain this knowledge. Reflection – Reflection is an important part of anyone’s learning, and we use it very effectively in our school. We did this in many ways, reflecting on what we had learnt and what further action we could take. 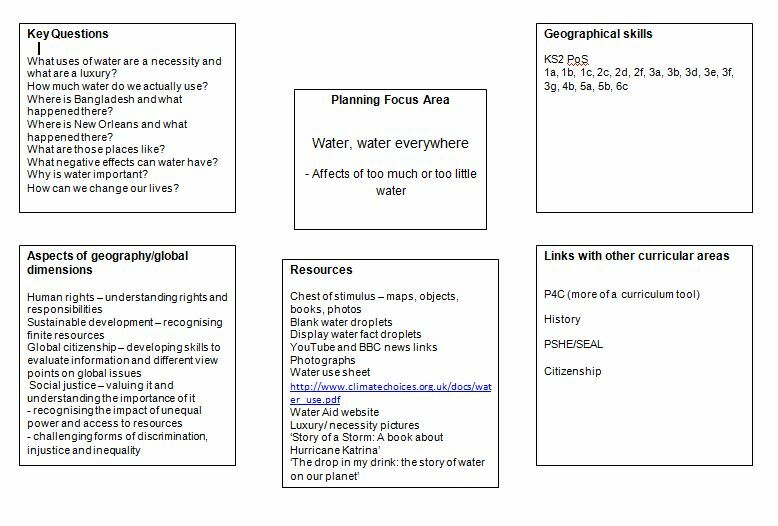 I myself learnt that in order to fully embed geographical and global understanding that planned activities have to be engaging, child-led as far as possible and include at least one aspect of global dimension and learning from one of geography’s `big ideas’ (or key concepts). Two children debating the use of the levees in New Orleans, questioned whether its place in the environment made the flooding worse by providing a barrier to the flood water retreating back into the river, or helping as it took longer for it to flood.